NAC’s roots go back to 1919, when the Naval Officers Association of British Columbia was formed by naval veterans of World War I. After World War II, a number of similar associations sprang up across Canada, with the objective of capturing and maintaining the spirit so essential to the wartime success of the Royal Canadian Navy in both the Atlantic and Pacific. 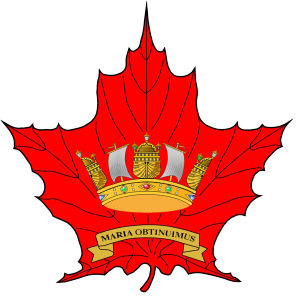 In 1950, the many associations banded together in a federation of branches, and a single “letters patent” incorporated the Naval Officers Association of Canada (NOAC). The Association served as a rallying opportunity for continued social interaction, plus as a means of providing coordinated advice to the government and Navy of the day. In light of the way the modern Canadian Navy has vastly changed from the early days in terms of both personnel relationships and missions the NOAC conducted an extensive re-think of its purpose and roles. As a direct result, in 2012 the name was changed to Naval Association of Canada. Membership was extended to all those who have an interest in seeing the Royal Canadian Navy prosper and maintain its world-class capabilities. The modernized NAC seeks to educate the Canadian public on their Navy and what it needs if it is to continue to contribute effectively into the future to Canada’s security, prosperity and other interests, not only in home waters, but around the world. NAC also supports Sea Cadets through an annual contribution to the Royal Canadian Sea Cadet Education Foundation for pursuit of an education in a Maritime Studies program. Pro-naval education, however, is not all that NAC does. Besides Public Education, two other equal pillars form NAC’s three-part mission. These are Maritime Heritage and Camaraderie. Under Maritime Heritage, NAC is undertaking to work with the fifty-or-so maritime museums and trusts across the country to both bring Canada’s remarkable maritime history and accomplishments to everyone’s attention, at the same time as contributing to their preservation. Under Camaraderie, NAC members enjoy the spirit and comradeship derived from shared service to Canada and an affinity for the sea. Additionally, NAC member camaraderie extends to the active support of less-fortunate members and those suffering the loss of a loved one. NAC goes to bat for the naval family.